As a specialist provider of transport vehicles and customized handling solutions, Design Storage and HUBTEX have wide-ranging experience in diverse market sectors. Challenges associated with the transport of heavy loads provide the opportunity to showcase innovative products and solutions. As the demand for heavier, larger and less manageable loads increases, highly skilled engineers and cutting edge technology are employed to ensure our products provide solutions that are innovative, highly reliable and above all cost-effective. 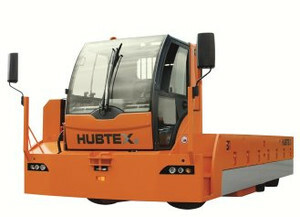 The rail-mounted trucks made by HUBTEX are tailor-made to suit individual customer requirements. Well-proven standard components are used in the driving mechanisms and the control technology. 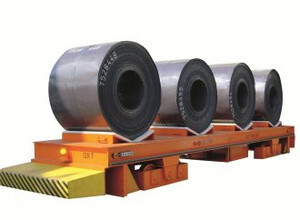 The rail-mounted truck is designed for in-plant transport. The Platform Truck is a self-propelled electric vehicle for the in-plant transport of heavy loads such as: metal sheets, steel girders, coils, machine parts, cast iron and tools. Platform Trucks can be customized to customer specific requirements. HUBTEX tool changers with load capacities of up to 143,300 lbs help to reduce the changing times for pressing and stamping tools and so improve production efficiency. 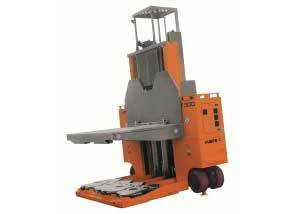 The compact running gear also allows for extremely low entrance heights underneath machinery.